A versatile, quiet, multi-protocol power / data supply designed for entertainment and event installations with Philips Color Kinetics fixtures, including the latest generation of LED lighting: ColorBlast TRX, ColorBlast TR (16 and 8 bit), and iW Blast TR. DMX input and output. 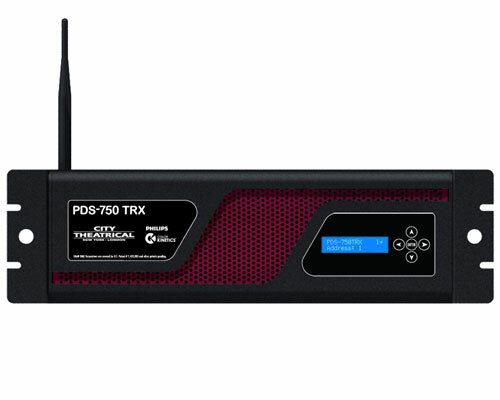 Includes wireless DMX via a built-in SHoW wireless receiver. Built-in Ethernet switch provides pass-thru to downstream devices. Built-in Ethernet node gateway allows output to one of two virtual DMX512 universes.